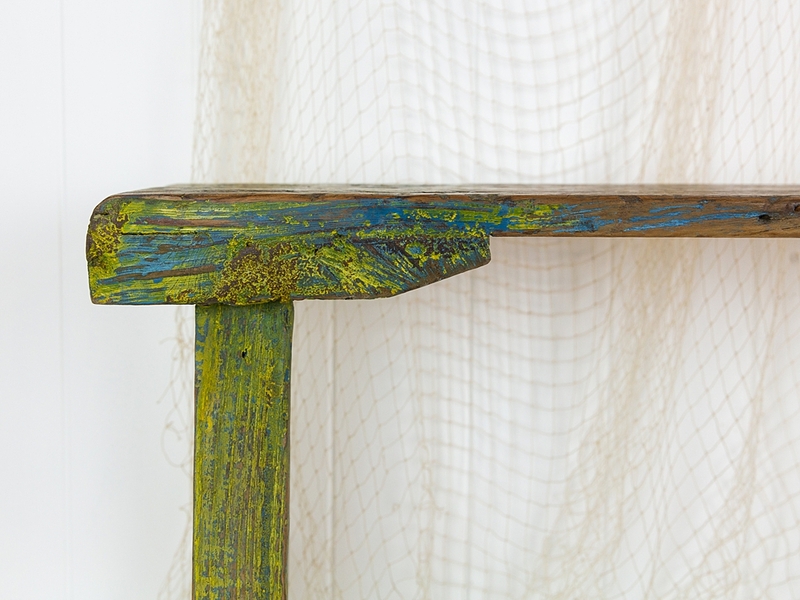 This wooden stool is from Indonesia and has been made with reclaimed timbers. 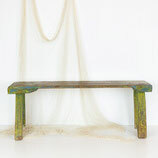 It would look great in an entrance way to sit and put on your shoes, or in the garden as a place to stop and smell the roses. 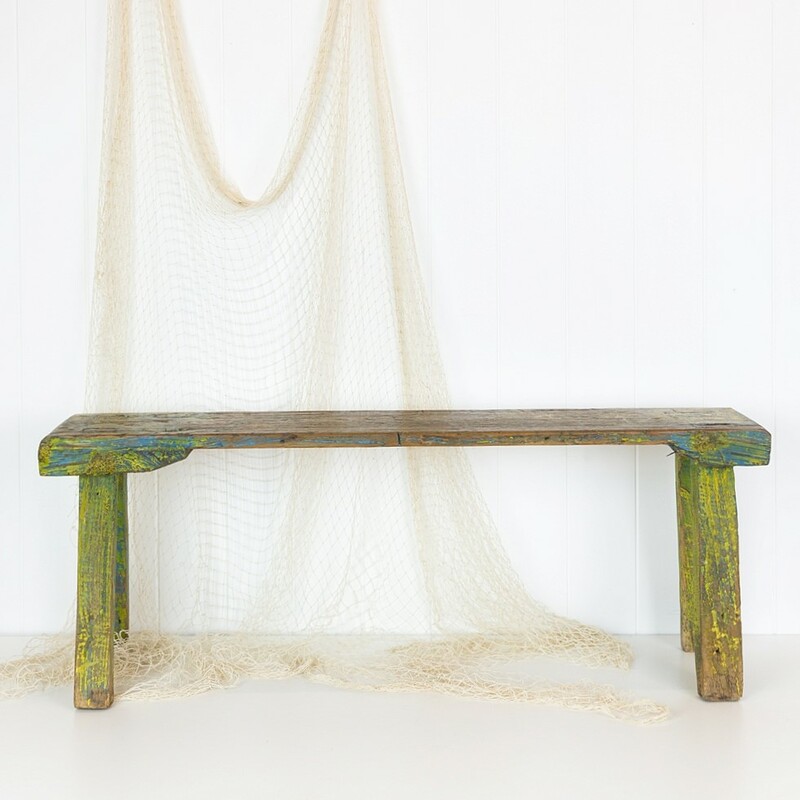 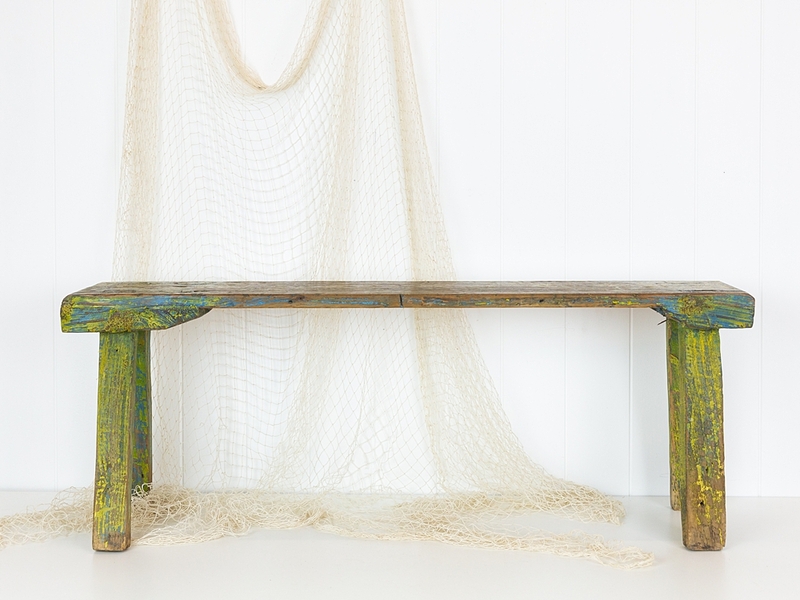 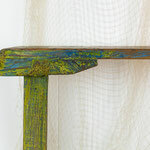 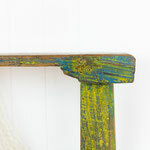 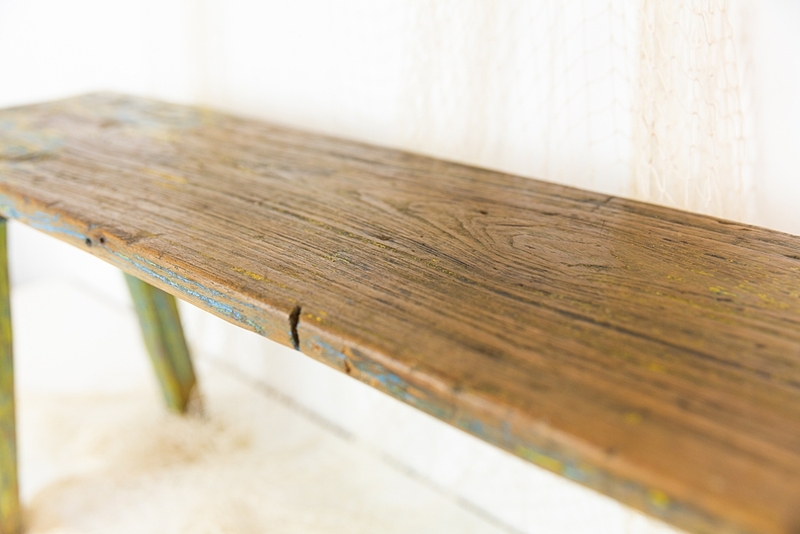 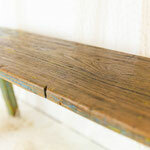 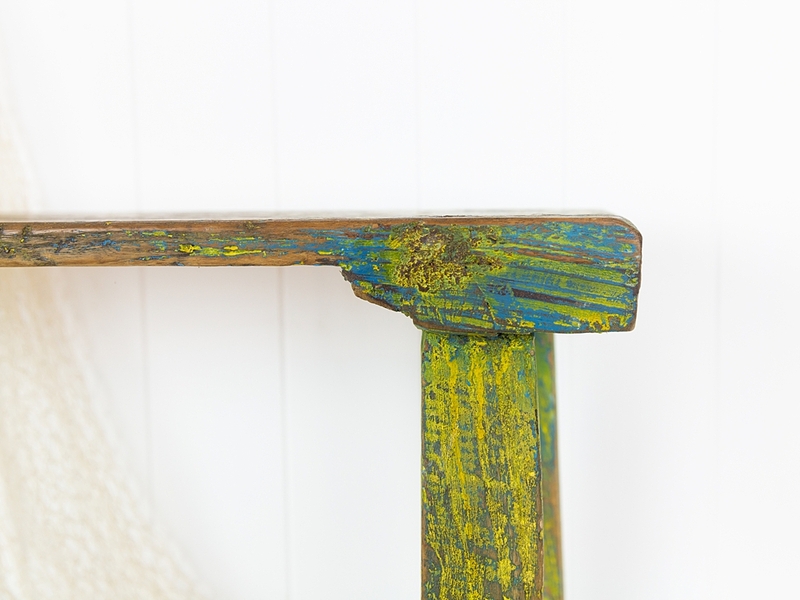 The aged timber and chippy yellow blue paint make it perfect for a coastal or island look.